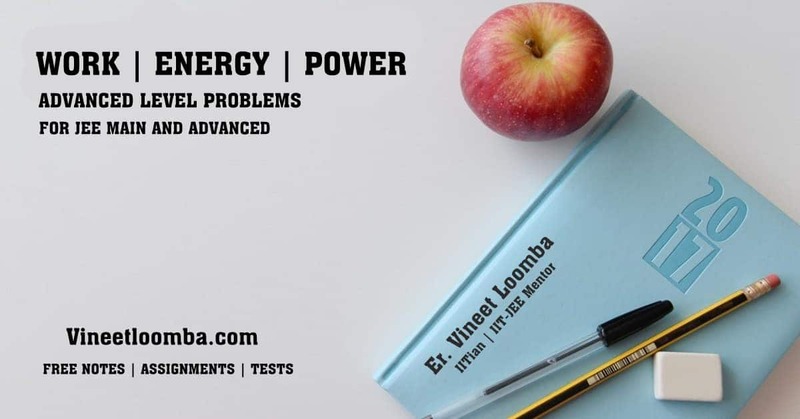 In this post, I am sharing an Assignment on Work Energy Power portion of JEE Physics Class 11 portion (as per requests received from students). Download Link is at the bottom. The assignment covers topics namely Kinetic and Potential Energy; Work and Power; Conservation of Linear Momentum and Mechanical Energy. It contains questions of single correct type and multiple correct type. Share this on Google and Facebook and press Fb like button to support this website. Thank you Sir for spending your valuable time and giving aspirants with free material to practice. Can you please make a question compilation of Dual nature of matter and provide us with the same? Can some one give the link for the notes plz??? ok added to the list ..will upload soon.